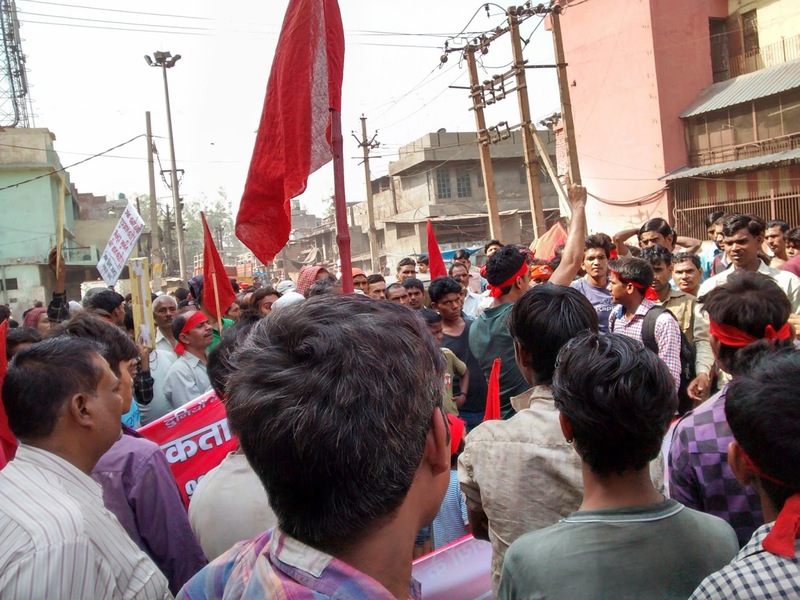 A massive indefinite strike is unfolding in Wazirpur Industrial area, Delhi. 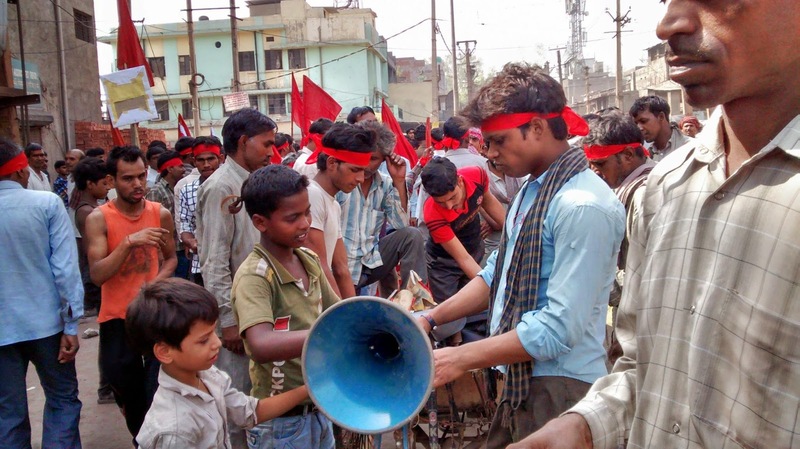 The strike entered 6th day on 11th June. 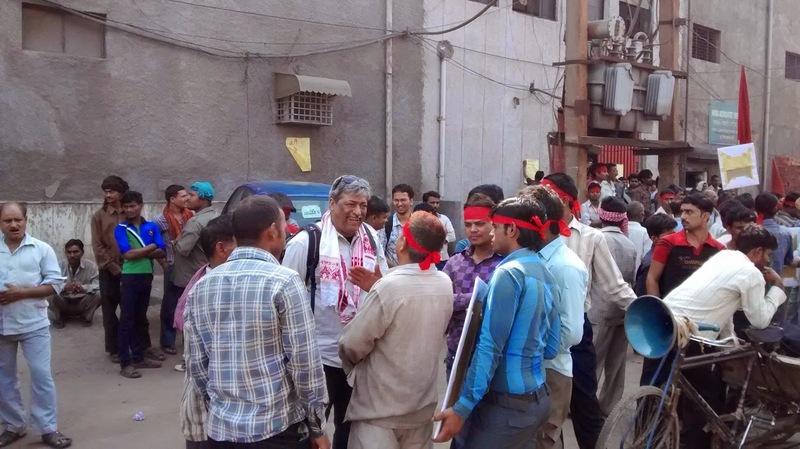 The workers organised as Garam Rolla Mazdoor Ekta Samiti (Hot-Roller Workers Unity Committee) have been on strike since June 6. 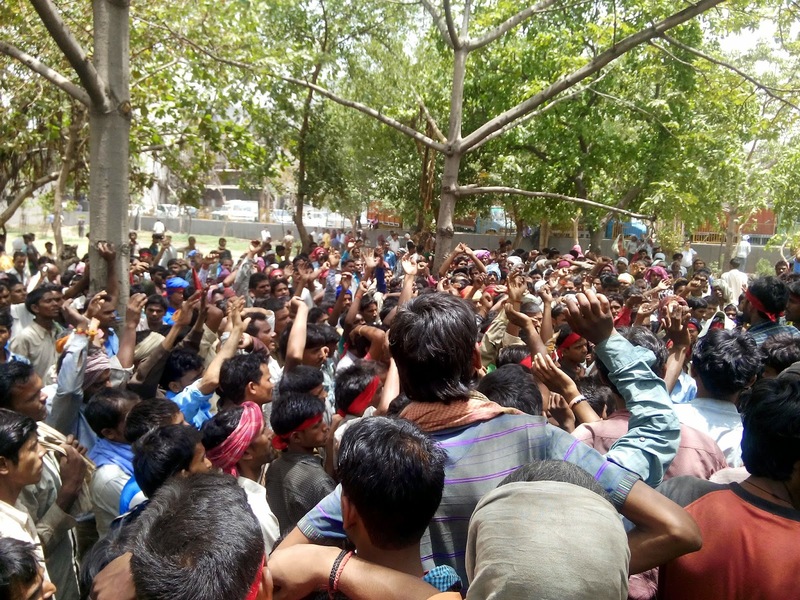 These are the workers of Hot-Roller steel plants in the Wazirpur Industrial Estate who work in 12-hours shifts under inhuman conditions and with complete absence of any labour standards and laws of this country. 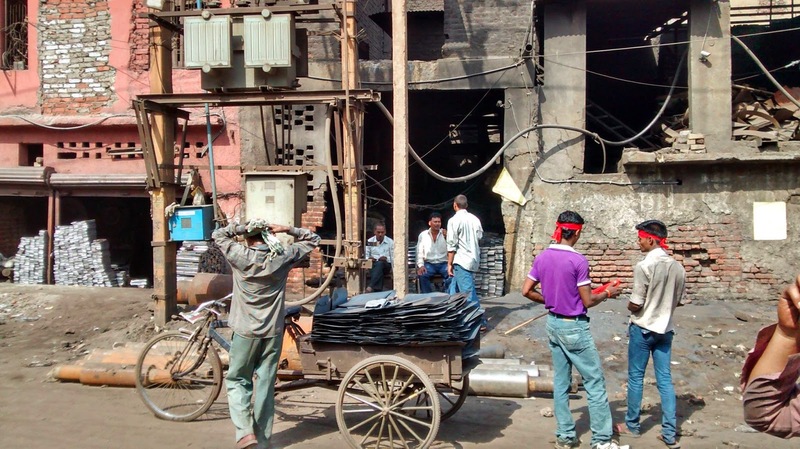 Apart from long working hours, below minimum wages, these workers work around hot furnaces of 1,000 degrees Celsius without any safety gears. Almost every worker have suffered various kinds of industrial accidents, many have lost fingers and toes and almost every worker has varying degrees of burn injuries. Workers have been demanding minimum wages, job cards that would certify them as bonafide workers and Employees’ State Insurance (ESI). This is third time that these workers have struck. In 2012 after a long struggle workers got a weekly off day. 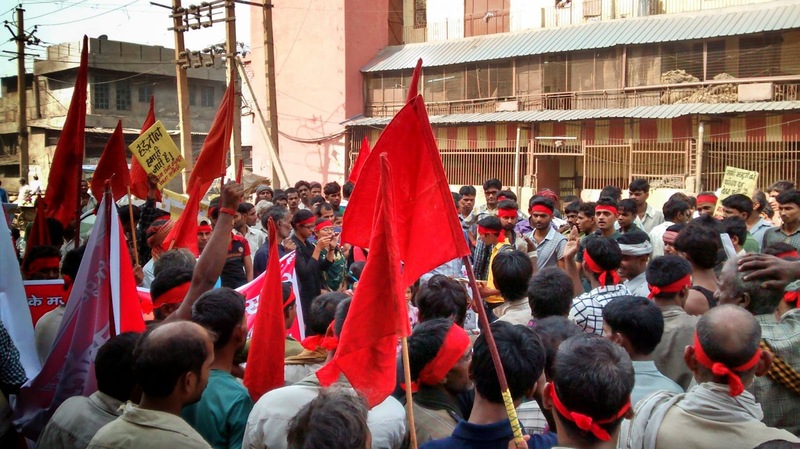 In 2013 summer after a successful strike they forced the factory owners to increase their wage by Rs. 1550. Their demand for ESI was also accepted but was never implemented by the factory owners. In the ongoing indefinite strike action, the workers are demanding the implementation of Minimum wage (currently for 12 hours workers are paid Rs. 6000-8500 which is far below the stipulated minimum wages), eight hour work shift, double wage rate for overtime labour, appointment letter, identity card, wage slip to all the workers, ESI, Provident Fund, payment of bonus as labour laws, safety measure at workplace etc. All these demand are actual rights that have been achieved by the struggle of working class all over the world. Today the strike entered its 6th day and all the other ancillary units are soon going to be shut due to the strike in the Hot-Rolling plants since all other plants are dependent on the supply from the Hot-Roller plants. More workers from the ancillary plants are expected to join the strike as it unfolds. 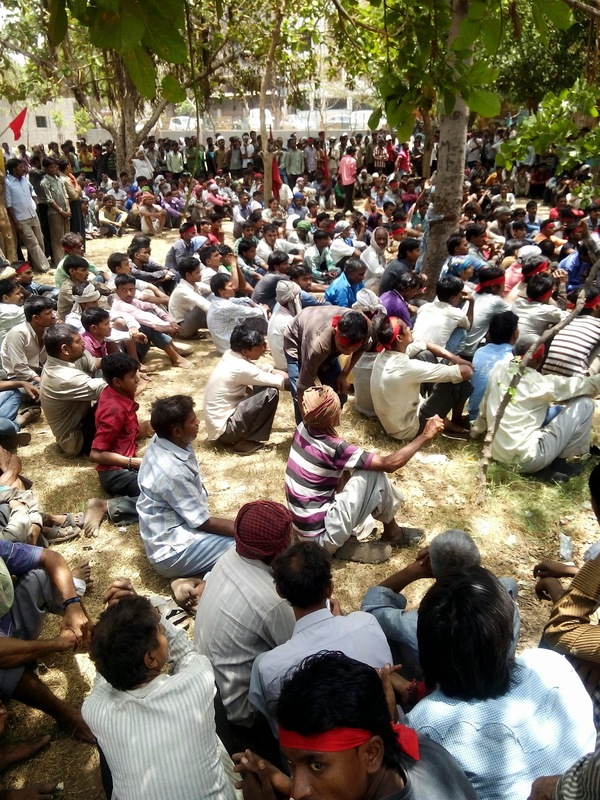 The striking workers assemble every morning at 9 Am at Raja Park, Wazirpur and continue their protest meeting up to 2 PM. 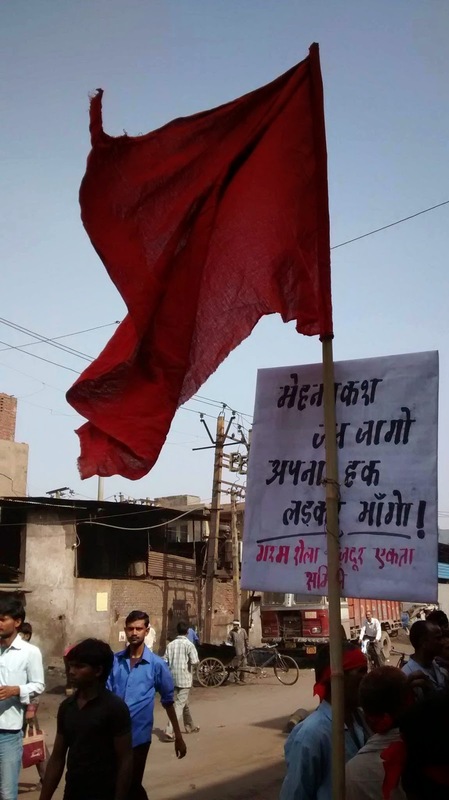 On the 5th day (10th June) of the strike the workers took out a rally which passed through the narrow dusty lanes of the industrial areas picketing factories which were still running, they also urged the workers of Cold-Roller plants and other ancillary plants to join the strike. 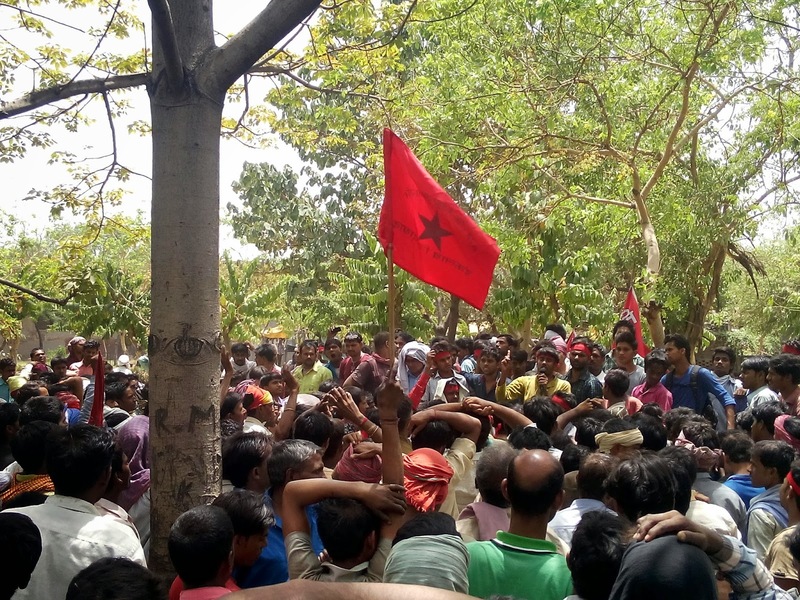 The rally culminated into a public meeting at Raja Park where over 1500 workers took a collective pledge not to withdraw the strike until all the demands are not met and to make every possible efforts to enlarge the strike. 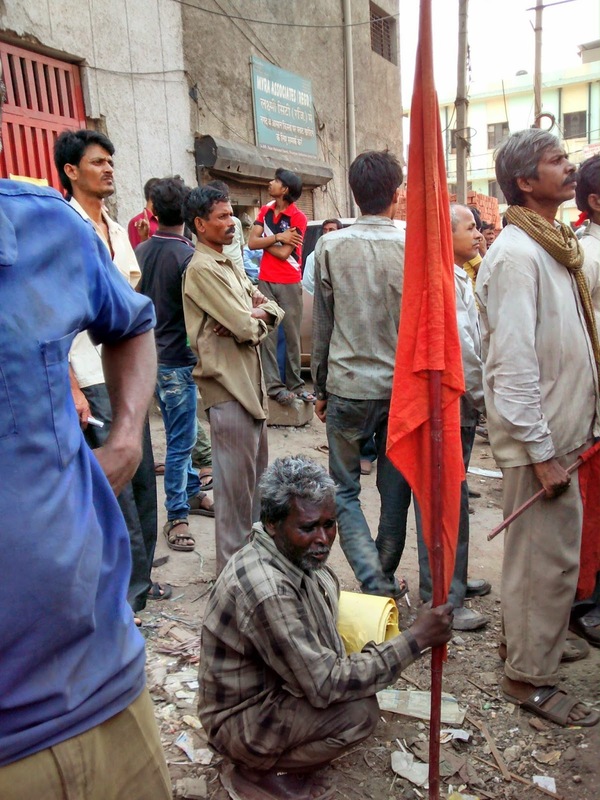 A worker summed up the mood of the strike when he said, "if we can melt the iron with our hammer, we can also defeat these owners"! A world for the workers! A future for the world!